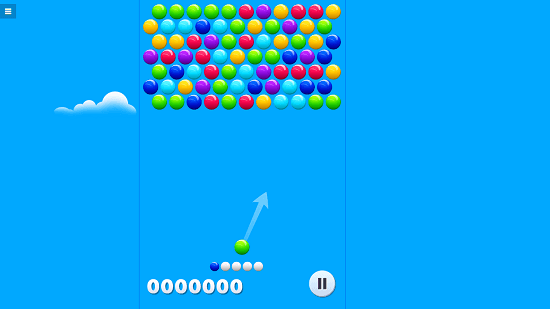 Bubble Shot is a free bubble breaker puzzle game app for Windows 8 and 8.1 devices. When you install and run the app on your device, you will be presented with the main interface wherein you can start the game itself directly by clicking on the Play button. Once that has been done, you will be presented with the gameplay screen of the game itself. 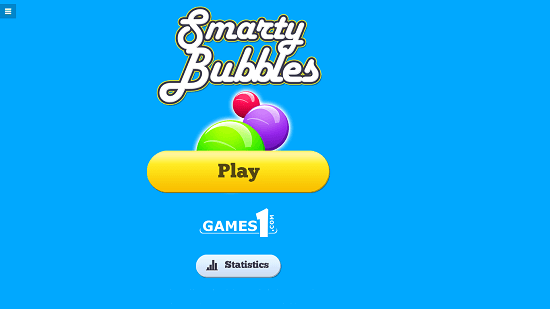 In this screen, you will be able to shoot bubbles from the bottom of the screen by aiming it via your mouse. 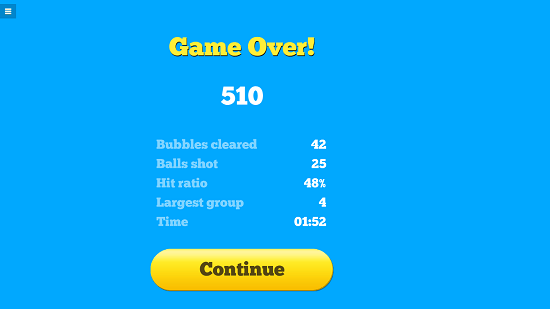 Successfully fired bubble at a group of two or more similar bubbles will cause all the bubbles to break, thereby awarding you with a score. Bubble Shot is available for free from the Windows App Store. When you install and run the game on your device, you will be shown the following screen. Click on the Play button, and you will be presented with the gameplay screen. This looks like the screenshot below. In the gameplay screen, you can guide the bubbles by moving your mouse to aim the bubble at the bottom of the screen, and you can then fire it up by left clicking anywhere on the screen. 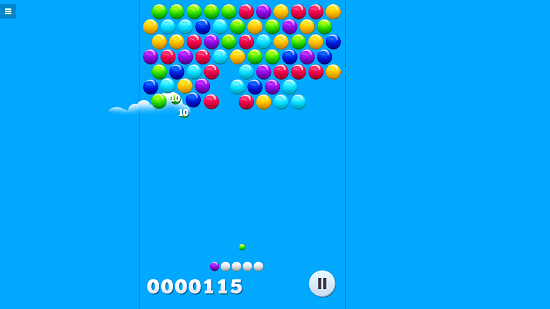 The bubble shot from the bottom of the screen will go and hit the bubbles at the top of the screen where the bottom bubble has been aimed, and if you are able to connect three or more bubbles by shooting the one at the bottom, then you will be able to generate some score as can be seen below. Failure to constantly burst bubbles will lead to the game getting over and you being shown the game over screen like in the below screenshot. This concludes the main features of Bubble Shot for Windows 8 and 8.1 devices. Bubble Shot makes for a good download on devices running Windows 8 or 8.1. You can get it for free from the link below.